Since 1978, Enerheat Renovations had been a family renovation company installing high-quality vinyl windows and doors. Our business is 100 % employee owned and operated which means our team cares about every client we deal with. We are a small company with a big presence and have 2 window crews and 2 carpentry crews at your service. The above photograph shows the first fully automated Super Spacer production line in Canada, providing the energy savings and long term durability you need—now and in the future. Our sealed units are manufactured on the most advanced equipment available in the world today. This Lisec vertical automated insulated glass line is equipped with comprehensive IO/DI water treatment for washing, robotic Super Spacer application, automatic argon gas filling and robotic secondary sealing, providing you with the highest quality units available. There is no better recommendation than to be selected by your peers (customers and other contractors) for an award that celebrates “exemplary commitment to honest and ethical business practices and customer service excellence.” We won the BBB award in the home improvement category because we are the best window and renovation company in Victoria and offer the best warranty in the business. 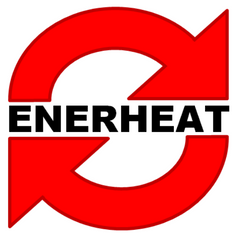 Contact Enerheat Renovations today and hire Victoria’s #1 home improvement company.